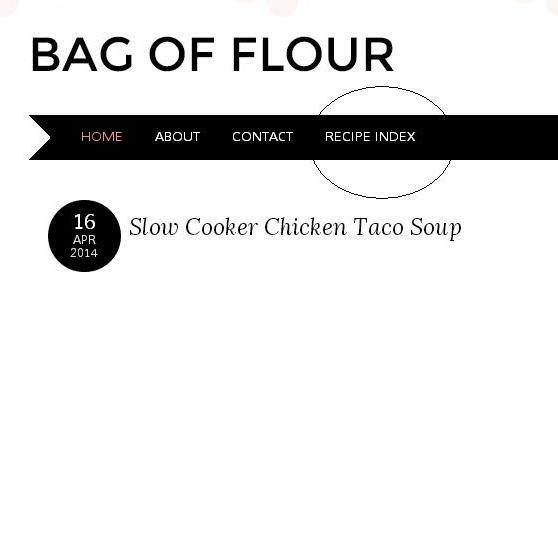 I am really excited to announce that I have added a Recipe Index Page to Bag of Flour (see screen shot above). This will allow you to browse my recipes by category. I posted for awhile before I officially launched so there are probably some recipes you’ve never even seen before. Check it out! I also wanted to bring to your attention some changes to the buttons on the bottom of each post. 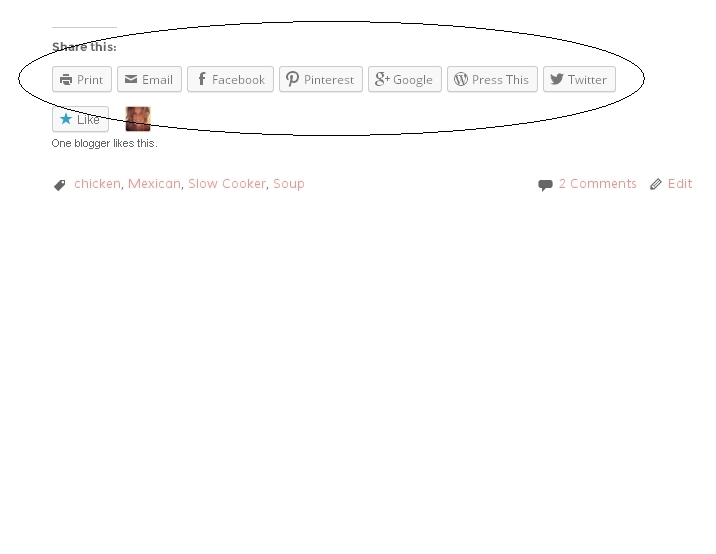 I have made the Print button more accessible and added a Pinterest button (see screen shot below). Please feel free to share anything you like anywhere you like, and thanks for reading, I appreciate it SO much.